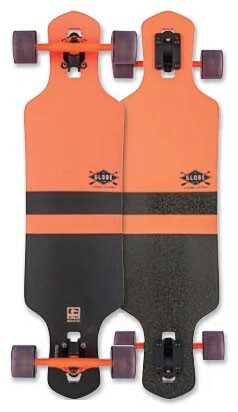 globe Geminon Fluoro orange - this 35" Longboard consists of a maple wood deck, as well as high-quality axes with a wheel size of 69 mm. 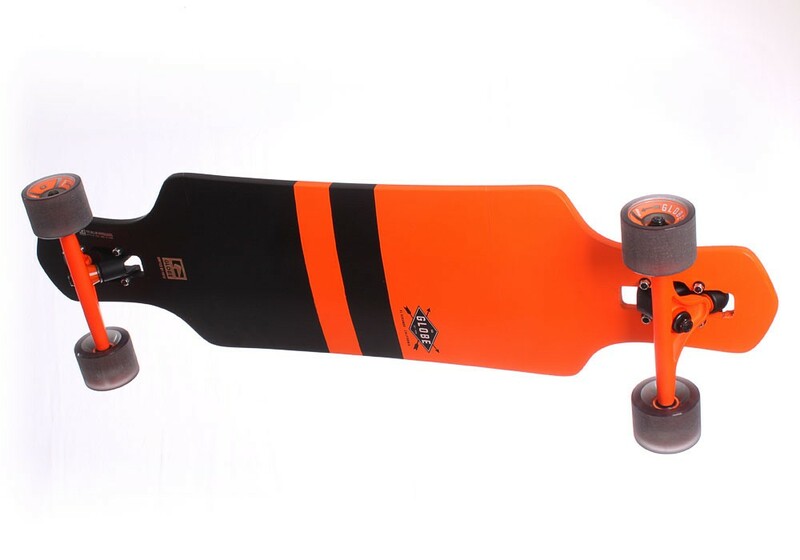 The color of the Longboard is a black / orange. 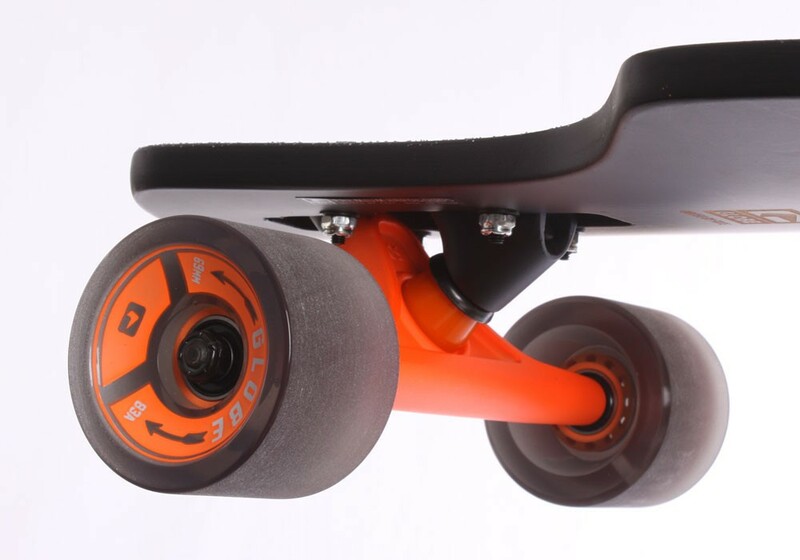 Also take a look at the other technical datas. 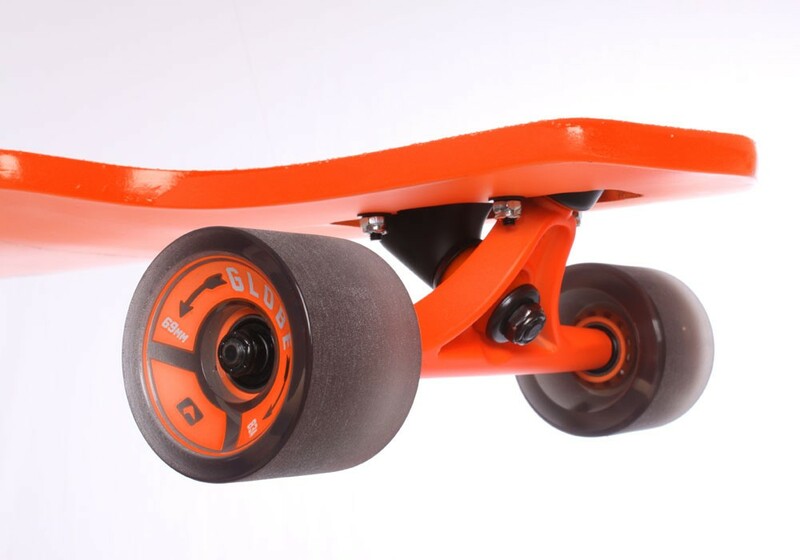 The new globe Geminon Fluouro longboard is thanks to the new drop-through technology extremely easy to drive. 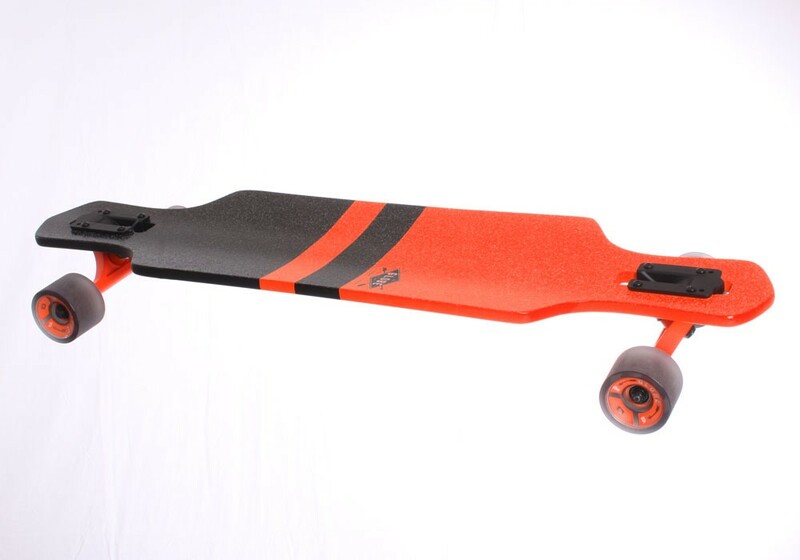 The 35-inch board with 89 cm length, 23 cm width and 11 cm in height.